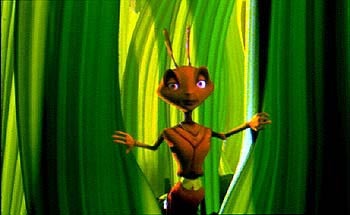 The 1999 film ANTZ was Dreamworks’ entry into the computer animation market. They tried to get in on the market created by Pixar, but couldn’t equal the quality, neither of animation nor of storytelling. In any event, ANTZ is the story of Z (Woody Allen), a worker ant who isn’t happy with his lot in life. He’s frustrated with the mentality of the colony, that any single ant isn’t important, it is only the colony that is important. General Mandible (Gene Hackman doing his best Crimson Tide), plans to “save” the colony by destroying the worker ants completely, leaving the soldier ants alone and in charge. Christianity these days seems to be caught in a netherworld between the supposed rugged individualism of evangelicalism: “It’s just me and my relationship to my God”, and the supposed hive-mind communism (in the non Red-scare sense!) of the “emergent” church: “We discover God only in our discoveries about each other.” It seems that there is Scriptural warrant for staying away from either extreme. When the rich young man asks what he must do to inherit eternal life (Matthew 19:16), he is asking a very individualistic question. Jesus responds with a thing he must do. So, eternal life is to be inherited by individuals. Indeed, God knows the individual hairs on our heads, does he not (Psalm 139)? Yet, Paul cautions that “there is neither Jew nor Greek, slave nor free, male nor female, for you are all one in Christ Jesus” (Gal 3:28). In other words, let’s not get carried away by individualism, let’s focus on the things that make us all the same: Our need for a savior. Z decides, in the end, that to save the colony he needs to be true to himself. ANTZ seems to come to the conclusion that both indiviualism and communism are necessary. We can learn from each other. We seem to need to learn from each other. We don’t feel fully human without each other. Maybe that’s ANTZ‘s best insight, transposed from ant to human: We don’t feel completely human when we’re lone rangers. However, it’s our complete humanity from which we so desperately need saving! Indeed, it seems fitting to close this post by quoting Elwood Blues: “And remember, people, that no matter who you are and what you do to live, thrive and survive, there’re still some things that make us all the same. You. Me. Them. Everybody. 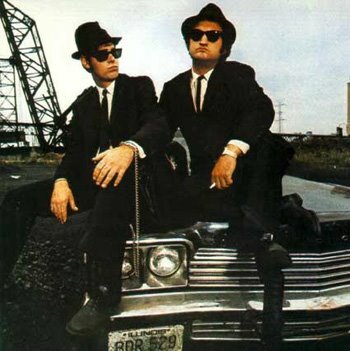 Everybody.” (The Blues Brothers, 1980) Elwood goes on to sing, “Everybody needs somebody.” Amen. Somebody to love us.